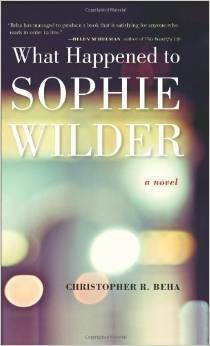 Tragic Faith: Christopher Beha’s What Happened to Sophie Wilder? Catholicism, Christopher Beha, Graham Greene, What Happened to Sophie Wilder? It is the story of a talented writer in her twenties, Sophie Wilder, told by her lover, Charlie Blakeman. It creates a curious and often beautiful effect when a novel is narrated by the secondary character – think of Ford’s The Good Soldier – and this novel does it so well in trying to answer the question posed by the title. Sophie is a tragic character to break a reader’s heart – and Charlie’s; she is a mystery to everyone, and untameable. She lives by her own code of authenticity, a dedicated and brilliant writer through her college years, only to make an unexpected conversion to Catholicism which comes to define her life. She comes in and out of Charlie’s life, forming him as a writer in their college years, only to leave him and marry another. I have been trying to find the right set of comparisons to situate it as a novel. I thought of the elegant tale of a similar milieu in Donna Tartt’s The Secret History. I thought of Paul Auster’s world of orphans who make similarly mysterious lives for themselves. And finally, after I finished, I realised the most important point of comparison was Graham Greene, particularly The Heart of the Matter. It is a religious novel in the same way Greene wrote religious novels – with tragic religious dilemmas at their heart. This one occurs with Sophie taking on the care of her dying father-in-law. To contrast another religious writer, Marilynne Robinson would have written about this with a sense of grace triumphing even through tragedy. Not Beha; like Greene, the Catholicism of his novel is bleakly beautiful and tastes, ultimately, of death.